Dr. Bhattacharya received the integrated M.Sc. degree in Mathematics from the Indian Institute of Technology, Kharagpur, India, in 2000 and the Ph.D. degree in remote sensing image processing and analysis from Télécom ParisTech, Paris, France, and the Ariana Research Group, Institut National de Recherche en Informatique et en Automatique (INRIA), Sophia Antipolis, Nice, France, in 2007. 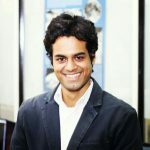 He is currently an Associate Professor at the Centre of Studies in Resources Engineering, Indian Institute of Technology Bombay (CSRE, IITB), Mumbai, India. Before joining IITB, he was a Canadian Government Research Fellow at the Canadian Centre for Remote Sensing (CCRS) in Ottawa, ON, Canada. He received the Natural Sciences and Engineering Research Council of Canada visiting scientist fellowship at the Canadian national laboratories, from 2008 to 2011. His current research interests include SAR polarimetry, statistical analysis of polarimetric SAR images, machine learning, and pattern recognition. 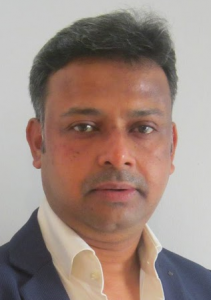 Dr. Bhattacharya is the Editor in-Chief of the IEEE GEOSCIENCE AND REMOTE SENSING LETTERS. He is a member of the IEEE GRSS Administrative Committee (AdCom). Dr. Bhattacharya is the founding chairperson of the IEEE Geoscience and Remote Sensing Society (GRSS) chapter, Bombay section, India. 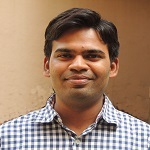 Since 2016 to 2018, he served as an associate editor of IEEE Geoscience and Remote Sensing Letters (GRSL). 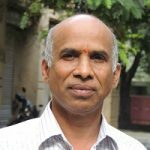 He was a guest editor of the special issue on “Applied Earth Observations and Remote Sensing in India” in IEEE Journal of Selected Topics in Applied Earth Observations and Remote Sensing (JSTARS), 2017. 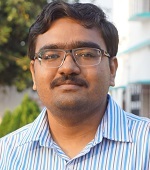 He is a guest editor of the ongoing special stream on “Advanced Statistical Techniques in SAR Image Processing and Analysis” in IEEE Geoscience and Remote Sensing Letters (GRSL), 2018. He is the Founding Chairperson of the IEEE Geoscience and Remote Sensing Society (GRSS) of the Bombay chapter. 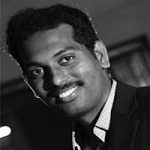 He is currently leading the Microwave Remote Sensing Lab (www.mrslab.in) at CSRE, IITB. Dr. Rao received the M.Sc. degree in physics from Andhra University, Visakhapatnam, India, in 1982, and the Ph.D. degree in passive microwave remote sensing of soil moisture from the Indian Institute of Technology (IIT) Bombay, Mumbai, India, in 1992. He joined the Centre of Studies Resources Engineering, IIT Bombay, in 1985, as a Senior Research Assistant and, then became a Research Scientist in 1999. During 2005–2009, he was a Senior Research Scientist and, then Associate Professor from 2009 to 2014. He is currently continuing as a Professor. He worked in both passive and active microwave remote sensing for several applications viz. soil moisture, flood mapping, and land use/land cover. 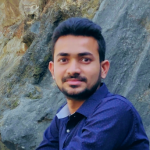 He has participated in several spaceborne campaigns for collecting synchronous ground-truth data and has experience in handling various datasets for several applications. 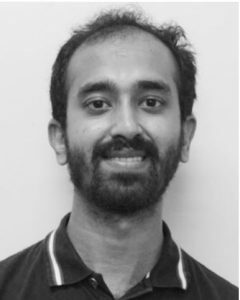 His research interests include application of polarimetry for geophysical parameter retrieval and SAR interferometry for DEM and displacement map generation. Educational Qualification: M.Sc. Physics and M.Tech Remote Sensing. Research Interest: Lunar Surface Studies, Planetary Remote Sensing, Polarimetry, Microwave Remote Sensing. Educational Qualification: B.Tech Electrical and M.Tech Remote Sensing. Current Possition: Doctoral student in Remote Sensing; Former visiting researcher at Agriculture and Agri-Food Canada (AAFC) and Carleton University, Ottawa, Canada. Research Interest: Compact polarimetry; crop classification. Educational Qualification: M.Sc in Mathematics. Institut d’Électronique et de Télécommunications de Rennes (IETR), University of Rennes 1, France. Research Interest: Use of mathematics and statistical tools for SAR image data analysis. Educational Qualification: M.Tech in Remote Sensing. Research Interest: Interferometric SAR Time-series Data Analysis for Earthquake Deformation Mapping. Educational Qualification: B.Tech (Agricultural Engineering). Current Possition: M. Tech + Ph. D. Dual Degree in Remote Sensing; Former visiting researcher at Agriculture and Agri-Food Canada (AAFC) and Carleton University, Ottawa, Canada. Research Interest: Crop biophysical parameter retrieval and yield forecasting using Polarimetric SAR data; Multi temporal crop classification using polarimetric SAR data. Educational Qualification: M.Tech in Remote Sensing and GIS. Research Interest: Soil Moisture Retrieval using P-band Radiometer Observations. Educational Qualification: M.Sc in Mathematics and Computing. Research Interest: Data Mining and Machine learning in Remote Sensing. 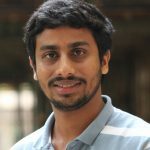 Research Interest: Deep learning and remote sensing. Educational Qualification: M.Tech Agriculture and Food Engineering. Research Interest: Big EO data; crop monitoring and remote sensing. Educational Qualification: M.Tech Geoinformatics and Remote Sensing. Research Interest: Active and passive SAR sensor integration for soil moisture. Mr. Rahul Kumar (2016-present): Ship detection using Convolutuin Nural Network from Polarimetric SAR Data. 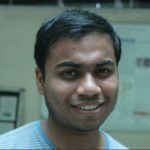 Mr. Sambuddha Saha (2015 – 2017): SAR Image Classification Using Deep Learning Algorithm. 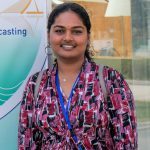 Ms. Anjaly Vashistha (2015 -2017 ): Snow Grain Size Measurement Using Dense Media Radiative Transfer Model. 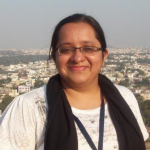 Ms. Asmeet Ahluwalia (2014 – 2016): Urban Area Mapping Using Random Forest Technique from PolSAR data. 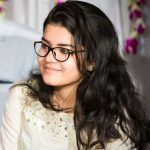 Ms. Khusboo Parakh (2014 – 2016): Application of Random forest and other machine learning algorithms for geological mapping from remotely sensed hyperspectral, multispectral and elevation data. 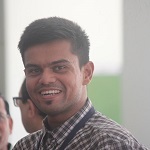 Mr. Debaditya Acharya (2013 – 2015): Geological Structural Mapping Using SAR Imagery. Ms. Mohini Kargaonkar (2013 – 2015): Hierarchical Classification for SAR Images. 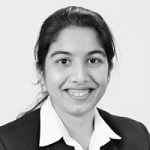 Ms. Kratika Yadav (2013 – 2015): Ship Detection using SAR Data. Ms. Shilpa Phukan (2012 – 2014): Understanding the Microstructure and Metamorphism Evaluation of Snow. Ms. Swinky Dhingra (2011 – 2013): Chandrayaan-1 Mini-SAR Data Analysis for Water-Ice Detection at Lunar Poles. 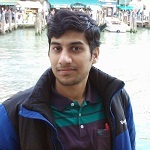 Mr. Arnab Muhuri (2010 – 2012): Statistical Modeling of Multi-Band Polarimetric Synthetic Aperture Radar Image. Educational Qualification: Ph. D., 2018. Current Position: Assistant Professor, Terna Engineering College, Mumbai. 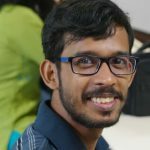 Research Interest: Machine learning with special emphasis on Random Forest classification and regression techniques for remote sensing applications like urban area classification; crop studies including crop identification, discrimination and classification; mineral prospectivity mapping. Research Interest: Polarimetric SAR, machine learning, and information theory. He serves as a reviewer for international journals, among them, the IEEE Journal Of Selected Topics In Applied Earth Observations And Remote Sensing and the IEEE Geoscience And Remote Sensing Letters. Research Interest: Image Processing and Cryosphere applications. Educational Qualification: Ph. D., 2016. Position: Junior Research Fellow Educational Qualification: B.Tech in Computer Science and Engineering. Research Interest: Neural Network applications, Deep leaning in Remote Sensing.